Never had the nails drying after painting easier. Why? Because it's so much fun and time passes much faster when you watch the new sweet friend blowing his freshly painted fingernails dry. The awesome nail dryer Pusteäffchen is just sweet. He is an idelaes gift for a good friend or just for yourself. 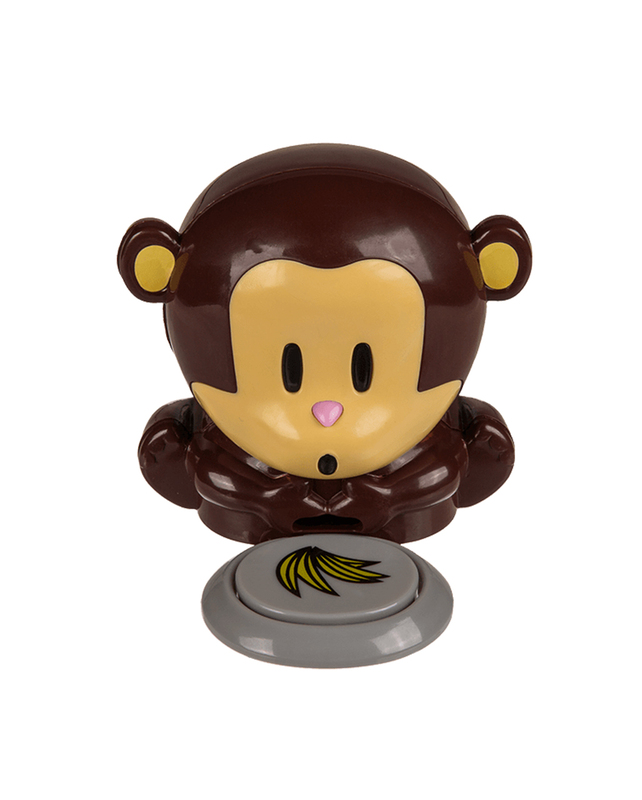 The little monkey will be glad to be a loyal and helpful friend to you. The handling of the nail dryer Pusteäffchen is quite simple. 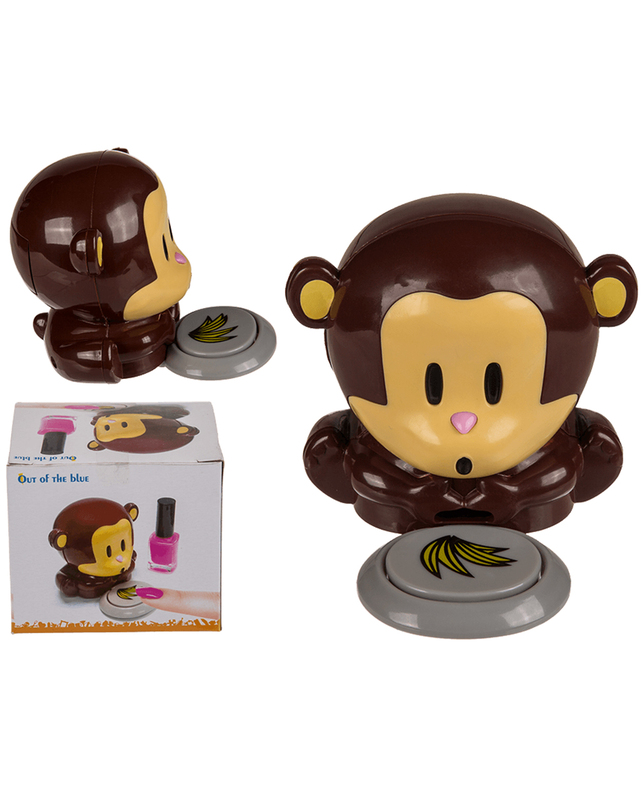 If you put your finger on the plate with the delicious bananas on it, the monkey will come to life. And it starts right away with its demanding task of drying your nails. The puffing mode is so activated and the monkey blows what the stuff holds. The puffing noise is unmistakable. And if you give him a break, then he looks just as decoration in the cupboard sugar sweet. Of course, you will find in our shop also a lot of nail polishes, so you both can get started as fast as possible. needed 2 AAA 1.5V batteries not included! The item is a costume accessory for adults and not a toy. Not suitable for children under 3 years. May contain small parts that can be swallowed - suffocation. Keep away from fire and open flames.